The Employee version of this guide is combined with the Employer version (click here), with the two guides being available for the price of one. 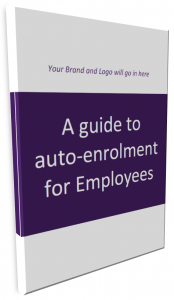 Written as an overview of the new auto-enrolment rules, this is a guide targeting any employee who will be affected. As such it is ideal to send to existing clients as well as professional connections. The guide focuses on the rules, how and when they will affect employees and what employees can expect from their employer.